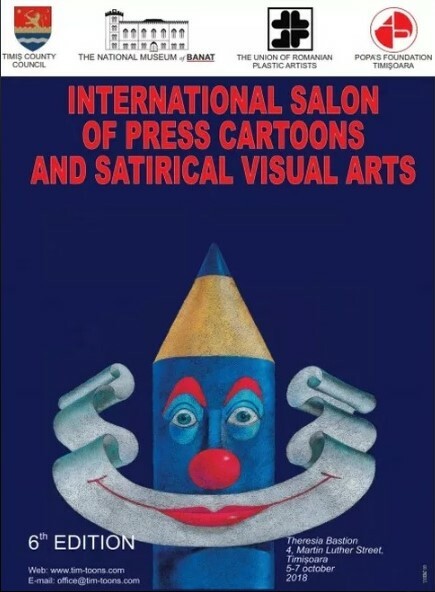 International Salon of Press Cartoons and Satirical Visual Art 2018 Romania..
1. The competition is open to any cartoonist. 2. 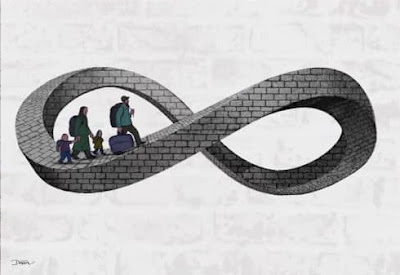 It is acceptable to enter with cartoons that have been published previously. However, they should not have won any prize/award in any other competition. 3. Any technique is allowed. The cartoonist can submit a maximum of 5 cartoons. Originals or electronic versions suitable for printing in 300 dpi and jpg format sent by e-mail would also be acceptable. No reposnibility will be assuemed for documents sent in different formats and documents that can not be opened. 4. All cartoons must be 30x40cm maximum. 5. 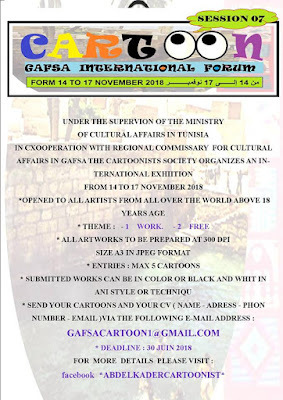 The participants must write their names (first and surname) in capital letters, address, e-mail, country and telephone number; a brief CV should be submitted in a sealed envelope. 7. The results of the competition will be announced on 5th September 2018. 8. 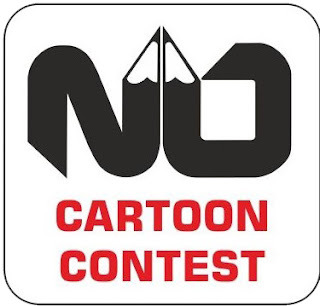 The cartoons sent to the competition will not be returned. 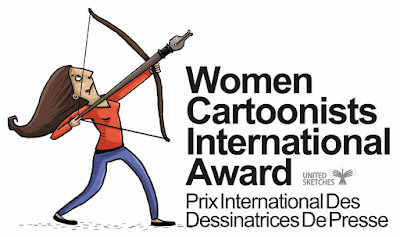 All cartoons, whether they have won a prize or not, may be used for cultural purposes and may be published. Participation assumes acceptance of these conditions. All cartoons will be kept in the ‘International Salon Of Press Cartoons And Satirical Visual Arts'. 9. 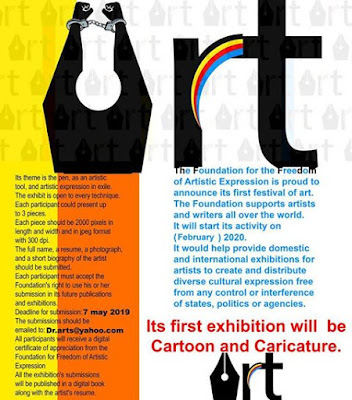 The cartoons selected by the jury will be displayed in the exhibition and will also be printed in the album. 10. 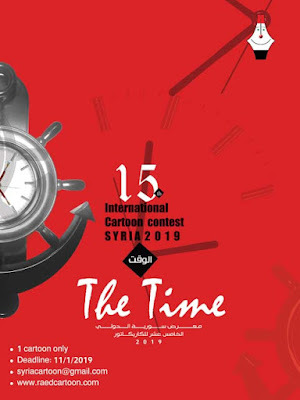 The reward ceremony will be held on 5th Octoberber 2018 The opening of the exhibition will be held on the same date, in ‘International Salon Of Press Cartoons And Satirical Visual Arts' for cartoons which have won an award or have been selected for display. The exhibition will be open until 15th November 2018. 12.SELECTION COMMITTEE: Judging will be made online in 6 capital cities of the world by great artists around the world. 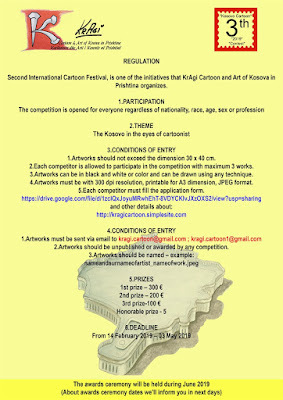 13.PRIZES: There will be 4 prizes of excellence of 1000 Euros each.